When I pick up a book these days, it is usually to learn something. I want something to encourage me spiritually, or organize my life better, or help with homeschooling, or deal with adoption issues, or….you get the idea. It’s been awhile since I read just a story. 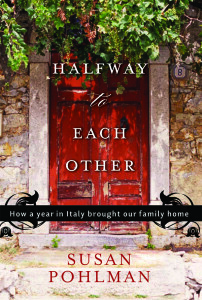 In fact, it has been so long that when I was asked to review HALF WAY TO EACH OTHER by Susan Pohlman, I almost refused. But the topic of this book! An escape to Italy. Trying out life in a different country. Who hasn’t imagined what that might be like? I had to read this book. I whizzed through it in three days, and thoroughly enjoyed it. Interestingly, it turned out to be more of a how-to book than I expected. As well as telling the story of a family on an adventure– a family that managed to stay intact by going on an adventure together– it also pointed out some of the things about their slowed-down life that knit them back together and improved their family’s quality of life. I highly recommend this book, both as an ‘adventure’ story and as a way to be more mindful about family life in general. A week or two later, I received another book in the mail– NOT SO FAST by Ann Kroeker. I didn’t realize until I sat down to write both of these reviews that the message of both of these books is the same: slowing down life enough to treasure family connections. The really great thing is that you don’t have to move to Italy to do it. NOT SO FAST does a wonderful job of describing the benefits of a more laid back lifestyle. And, more important, it shows in many ways very clearly how to do it, right here, right now, in the midst of your current life. Although my family is already doing some of the things mentioned in the book, I got some new ideas, as well as a great shot of motivation to keep on evaluating our priorities for the good of my family. This book comes highly recommended as well. And here’s a fun thing. Ann is offering a copy of her book NOT SO FAST to one of my readers. Just leave a comment below and tell me what you do when you need to slow down. I haven’t heard of either of these books, but think I’ll look them up. Thanks for recommending those, I need to learn the lesson. Thank you for the book recommendations. I have lived in Washington DC my whole life. It’s very fast-paced. To slow down, I like to knit, light a fire, and drink hot chocolate. As a family. we also like to sit by the fire and tell stories while we draw. It is so good to get book recommendations. I’ll check them out. When I need to slow down, I turn off all technology! It only seems to add to my to-do list! I cancel…cancel everything I can so I can just breathe deeply! Life as a mother to six can really take its toll sometimes. When I need to slow down, I settle into a hot bath with a great novel. i get on the floor and play with my kids. We unplug. It’s the best thing for my husband, myself, and my kids to ditch the computers and TV and then get outside together. We have game night or a trip to the beach or movie night or book night…pretty much anything that gets all of us together to do something fun. Thanks for the book recommendations. They both look good! When I need to slow down I practice saying “No!” to all outside family events. I then avoid TV, computer and telephones. I spend more time with my husband and girls and enjoying fmaily outings. this is certainly something I have a long ways to go on but with the kids back in school and activities winding up, I’d love to read both of these books to gain some perspective, esp with my 10 yr old who wants to do everything but still have time to ride her bike. When we need to unwind, if its nice weather, we spend time at our lake – the kids build sand castles or swim if its warm enough and I just sit and watch them enjoying it (or help build!). we also love to spend time outdoors in our yard – sitting with my 3 yr old in the hammock and looking for planes brings me peace! 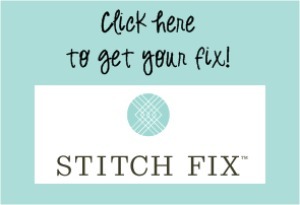 Mandatory pj day that includes unplugging things that plug in…. Everyone stays in their pjs and we spend time together as an added perk if you want to do something that plugs in (play a video game, use the kitchen aid, watch a movie) then you have to find some buddies. It keeps everyone relating to each other and makes for some fun too! The only other rule is you cannot talk or communicate with people outside the house – no texts, emails, or phone calls. I love it and if we can’t spare a whole day (soccer game in the morning or church) then we start it as soon as we can – I see/feel the benefits in even half days of pj day. These books would be great for me so if I don’t win, I know my next purchases. I am keep my fingers crossed. When we need to slow down, I stop saying “yes” to things. I like cocooning with my family. I have to learn to say NO! to someone other than my kids! When we’re feeling stressed, we don’t get in the car and, therefore, don’t end up making many unplanned stops and end up rushing home. We also collect rocks and beach glass. The girls spend tons of time sorting everything afterward. We love to go on a picnic together. Our family looks at our weeks ahead of time and makes sure to at least have a couple of days each week with nothing scheduled! When I need to slow down I pull out of everything I can possibly get out of. Every now and then I need a period of time where I don’t have to report to anyone else! I make sure the kids have a long nap, drink some tea, and have some “medicinal” chocolate. One way we slow down is read a book aloud as a family. I usually play with my boys. If life is going to fast it probably means we are doing other things and that they are getting left behind. We are pretty laidback already but I would enjoy winning it anyways. We simpy relish the days where nothing is planned… the girls play, I get things done around the house, we read together, go for walks… 🙂 As my little ones get older though… I know it’ll be more of a challenge. I’d love to take a peek at that book! put on classical music and have a tea part with the kids. What is slowing down again? I like to take warm baths but I don’t very often… I like to lay on the couch with my hubby and unwind with a good movie or tv show. To relax we simply try to spend quality time listening to eachother, it forces us to slow down and really pay attention. I’d love to win the book though, we all benifit from a new perspective. They sound like great books. One of our slowing down/reconnecting techniques is to have “family only” weekends… no playdates! We focus on time together — meals, game nights etc. I like to knit, or just cuddle with my son and read a book. We have four girls ages 7, 9, 13, 14. We try to slow down by making time for dinners together most nights, and reading every night before bed. I love gathering new ideas! As a family we unplug the tv and play together. As a mom…a great book and a cup of tea by the fire is an awesome thing. To slow down, I try to minimize my electronic interaction, meaning I unplug. I take a day or two and I turn the TV off, I stop going online, and I ask my hubby to do the same. No kids yet, but 3 dogs, and life still manages to be pretty hectic! We spend time playing cards or board games, playing with the dogs, even reading books and taking afternoon naps. Generally, we spend time just with each other and try to tune out all the unnecessary stimulation. P.S. Loving the Feed the family on $75 a week book! Truly delicious recipes! Both books sound great. When I really need to slow down I force myself to say “no” to people/things that may be taking up too much time and energy away from my family/myself. With my family, we like to spend an evening playing games, reading, watching a movie, just “being” together. When alone (rarely! ), I fix a cup of coffee and pull out my Bible and my knitting. When I need to slow down I either read some books to my kids or get myself a big cup of tea. Both books sound really interesting! When we need to slow down, we spend a day at home – we don’t answer the phone, we don’t run errands, we just hang out. Play games, read books, chase the kids, go to the park. It’s rare, but always nice to shut out the world for a while. That’s a good question. It’s usually my hubby who makes me slow down. He is such a gift that way. I like to read, take a bath, drink coffee, go for a walk. Some days it is a struggle to keep a slower pace, but we moved onto land and I cut down on our extra activities. Some days, we just decide to go outside and have a picnic. I also REFUSE to do laundry and excessive house work on Sat. or Sun. Sometimes it is difficult, but it is worth it. When I need to slow down I start marking things off my calendar. I try to keep to a couple of things a week with 5 kids. If more than two blocks are filled in then I see what I can cut. I put the timer on and read. If I HAVE to stop for something I pause the timer and start again later so I don’t lose my “me” time. The timer also means that I don’t get carried away with my book and ignore the rest of the work! Great book recommendation! If I need to slow down I schedule scrapbooking time for me! Very relaxing. As a family we have one day a week with no activities, play dates, tv and we do something together like reading or coloring.